Dare to want it all? 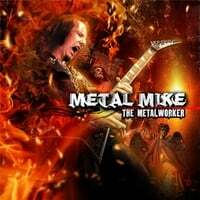 New in our store is this complete Metal Mike 6 pick collection. These are the real deal picks exactly as used by Metal Mike on various tours across the world. 2 of the pics feature newly developed chrome print. While the chrome print is hard to photograph, it does look awesome in person. Great set and a rare opportunity to get all of these all in one complete collection.